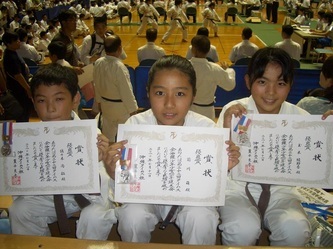 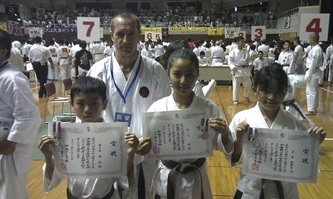 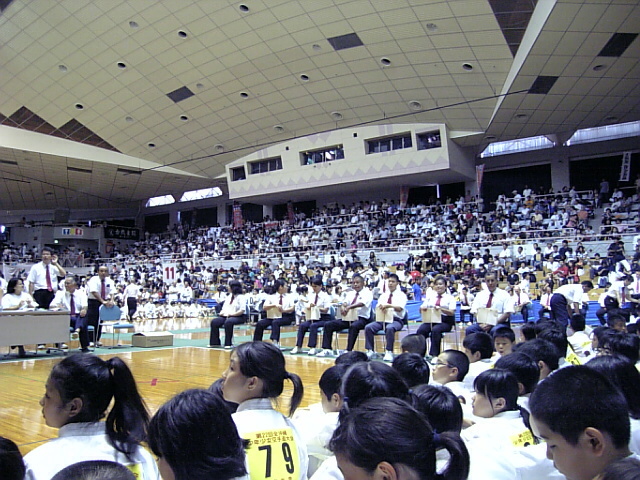 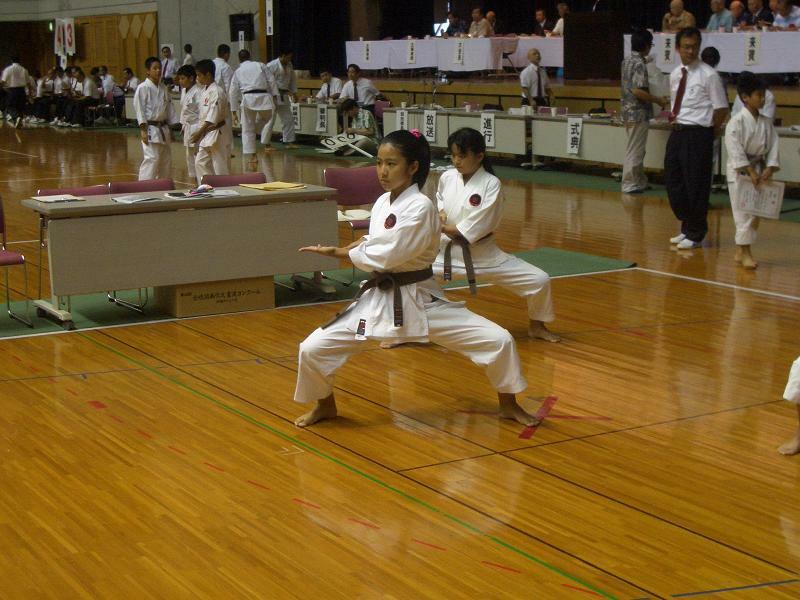 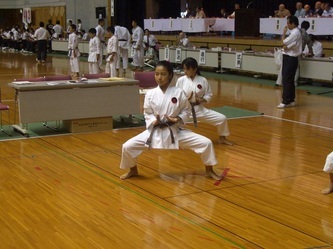 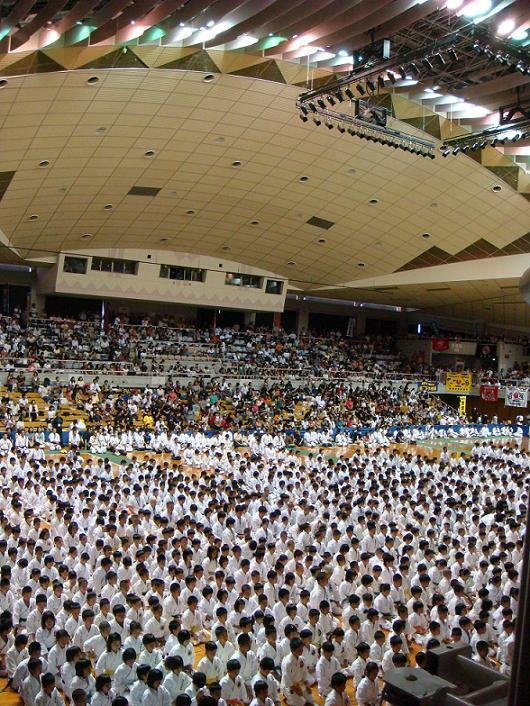 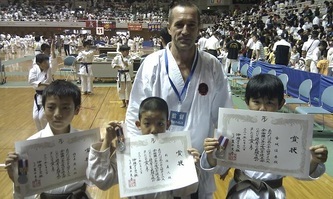 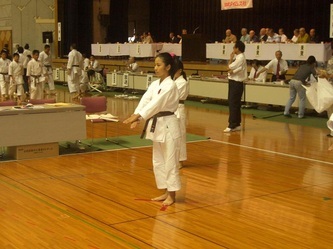 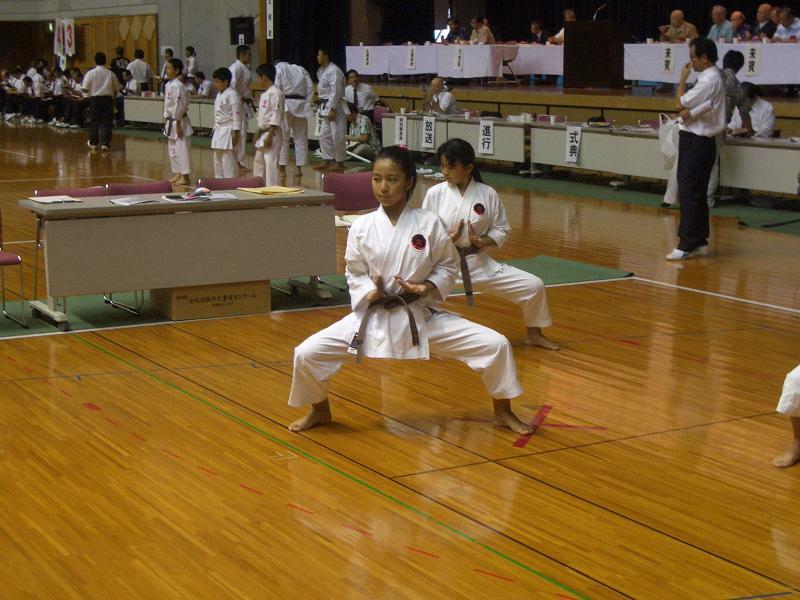 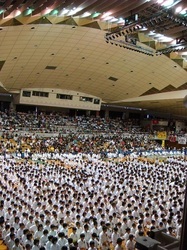 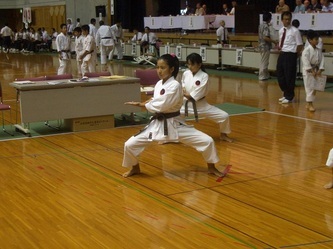 On the 11 July 2010 the annual "22th Okinawa Times Competition" kata tournament was held at the Kenritsu Budokan in Naha. 754 teams with 2390 athletes in total took part in this competition. 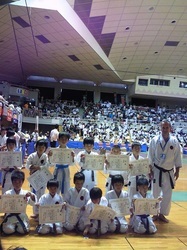 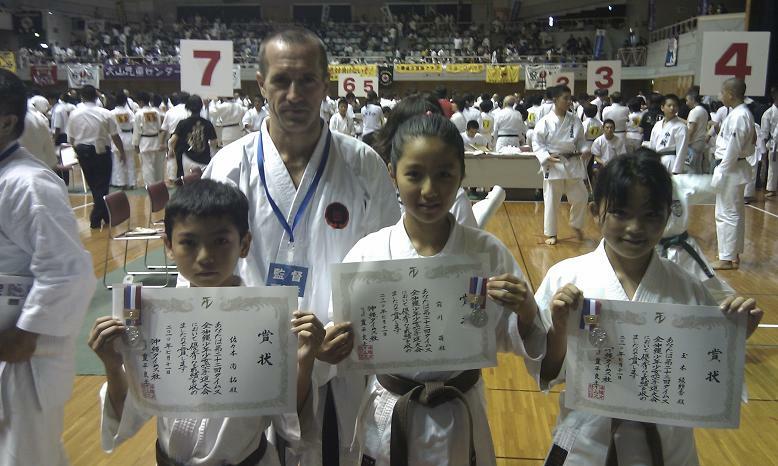 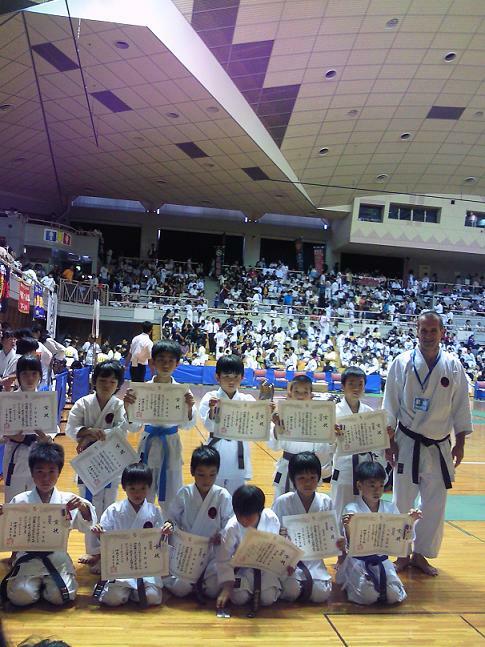 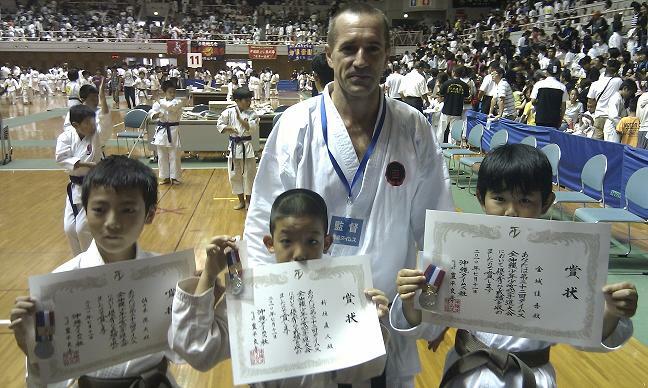 My dojo, "Ryuibukan" participated with 8 teams this year, and 4 team (double than last year) took a medal. 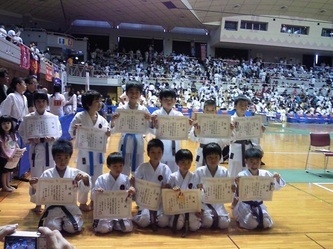 The B-team consisting of Moe, Asaka, Naohiro performed Seyunchin; the E-team consisting of Yuu, Yuusuke, Riku, Yuusuke performed Gekisai dai-ni.Both teams performed well, achieving second placed and the silver medal. 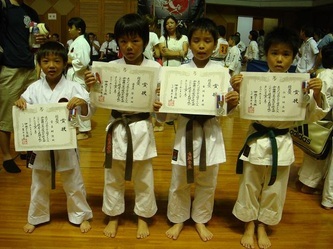 Also the C-team consisting of Naoto, Koudai, Keigo with Saifa and D-team consisting of Yuusaku, Keishi, Shoutarou with Gekisai dai-ni got a medal. 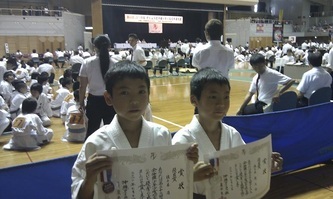 I was very pleased and satisfied with their effort and their issue.